A bit of a theme going on with my picks this year, Loving black, white, pink and gold! I can't wait to get my hands on the Naked 3 pallet from Urban Decay. I love this biscuit tin that looks like a vintage radio and these headphones that are disguised as earmuffs that actually fit my head - amazing! (normally they are too big for me). 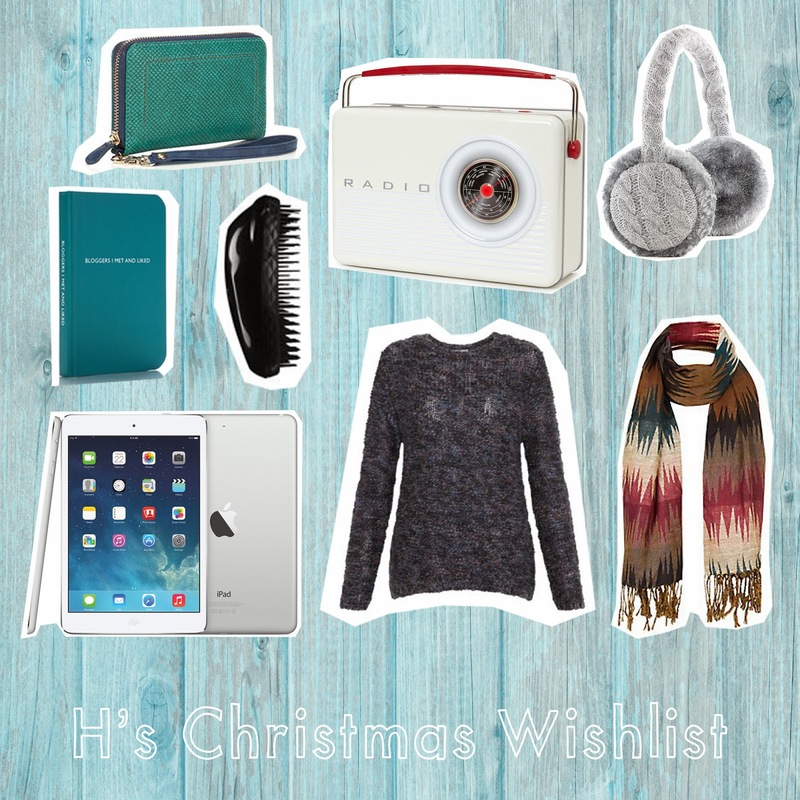 What goodies are on your Christmas wishlist's? let us know in the comments below. The river island scarf from Sammy's wishlist looks so soft! and love the purse in H's wishlist! such a beautiful colour!! There are so many beautiful things out there at the moment, we found it hard to choose this list. Fingers crossed Santa is reading!